If you figured "Hologram Tupac" wasn't going to be the last we saw of the technology, you were right: There's now an Elvis Presley hologram on the way. The same digital production company that created the virtual Tupac for this year's Coachella Valley Music and Arts Festival is working with CORE Media Group to "jointly develop, produce and own a series of 'virtual' Elvis Presley likenesses for a range of entertainment projects – from shows and appearances to film, TV and multi-platform productions throughout the world," a statement announces. The production company, Digital Domain Media Group, added that this partnership is a boon for them creatively. “Elvis is the most iconic, most recognized performer on the planet, and we are thrilled to have been chosen to bring new performances and original shows where fans can have their own, new experiences of Elvis,” Digital Domain's Chairman and CEO John Textor said. If "computer generated" Elvis will be in the vein of Digital Domain's "computer generated" Tupac, then fans can expect to see an eerily lifelike performance from The King of Rock and Roll one of these days, more than 30 years after his 1977 death at the age of 42. What do you think - would you want to see a computer generated Elvis perform? It's perfect time to make a few plans for the future and it's time to be happy. I've learn this submit and if I may I desire to suggest you some interesting issues or suggestions. Maybe you can write next articles relating to this article. I wish to read more issues approximately it! Yeah, like I'm going to pay the price of a concert ticket, to see basically a reflective picture of Elvis, whilst his songs play in the background! Give us all a break puleeze!!! well THANK GOD. it's about time someone created this important product. If Justin Bieber's people were smart, they'd motion capture him right now... 25- 30 years down the line, they can break that out, translate it for the current tech of the day and run it for his reunion tour and have him sing with himself. 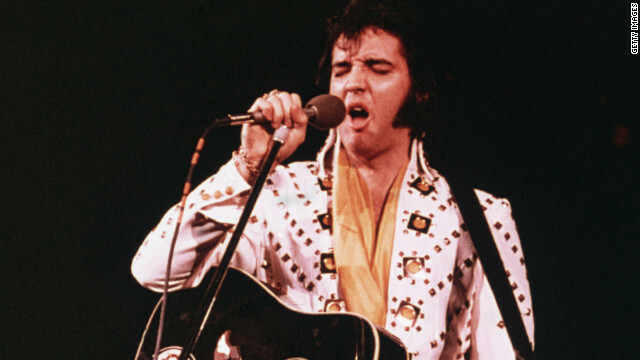 I personally feel a Elvis hologram today ,while nolt new by any means, has improved to the point where he wiill be "sponstaneous" and energetic as the one and only orginal. Everyone kept saying when they recorded the video of him and Martina MacBride together doing his BLUE CHRISTMAS song from his TV special would NOT LOOK RIGHT OR FEEL RIGHT. YET, that video is superlative. Technology today is greatly improved over what "used to be". No mention of the Elvis hologram that did a duet with Celine Dion on American Idol several years ago? They make it sounds like this will be the first Elvis hologram ever. Dumb. Which Elvis are they going to use? The one when he was in his prime or the fat, old one? Holograms.....or Zombies!?!?! I'll be ready for them! Elvis is the greatest of them all! Forget about the GREATEST entertainer/performer of the 20th century?! Yeah, I don't think so. I Michal Jackson hologram is also probably in the works, since his brothers recently announced a new tour. Who wants to see the "Jackson 4" without Michael.? who wants to see any of those clowns? A huge Elvis fan for years. I think Elvis would love it!!! why are "news" organizations continuing to refer to these projections as Holograms? Shouldn't the news try to report factual information and perhaps educate the public? This particular projection technique is called Pepper's ghost. It has been around a very, very long time. I knew after the Tupac holo that there would be a demand for the King!!!! This will be awesome! I love ELVIS anyway I can see him is fine with me...GREAT IDEA...I will love it!!! It would be great for those fans who were born after he died to see him in concert, so to speak. I saw him twice in Vegas and a couple of times locally and I have one word to describe it: Electrifying! As one of the biggest EP fans ever, I find this creepy. Next we'll be bringing back your Uncle Harry who died in '84. It's all very morbid. Very soon the cost of this technology will come down and we will be able to have a hologram of Sarah Palin in every home. Personally, I can't wait. Help me. Obiwan Presley, you're my last hope. Wow, this is 19th century technology. Pepper's Ghost is nothing new., But I wouldn't have expected rap fans to know that. This is not a hologram! The a damn reflection.. People are so ignorant! The tech to create true holograms doesn't exist! These people are just vain. All this "hologram" junk is nothing more than a cover/tribute band. Yeah, you're hearing the music being played pretty close to the original, but you still lose the spontaneity that made the original artist so great. If you're going to introduce younger generations to the music, then just have them listen to the music or watch old videos on Youtube. The man is DEAD for cryin' out loud. Let him rest!!! It is a computer-generated 2D image reflected off a sheet of glass. The Haunted Mansion in Disneyland has been doing the reflection thing for 50 years. Go to a live concert, go outside, talk to your neighbors, live your life. Elvis has left the planet, get over it. Am I the only one that believes that this is disrespecting these legend's? Making a copy of them, just to make money.. I really really hate where this is going. @AlienGamer I know that Tupac's mother approved the hologram before Coachella. I read it in one of the articles. She was very happy with it too.